England March 2013- Cadbury Factory — Always Packed for Adventure! 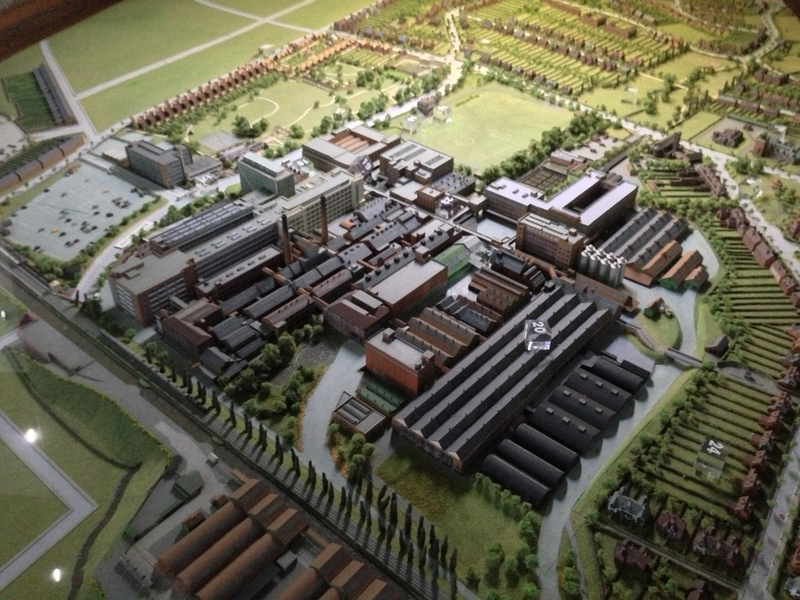 I had visions of chocolate rivers, Oomph-Loompas and Everlasting Gobstoppers, but sadly, the Cadbury Factory in Bournville didn't have any of those things. However, the Cadbury Factory did have chocolate. Lots of yummy chocolate and really, what else do you need? We set off early on a Thursday morning and the sluggish highway turned into a dead stop shortly into our journey. The traffic is bad in Los Angeles, but it's almost worse in England. The highways have less lanes in England, so if there is a problem, there's no way around it. You're stuck. Dan took a screen shot of our traffic nightmare. We got off the highway and took a detour through country roads. 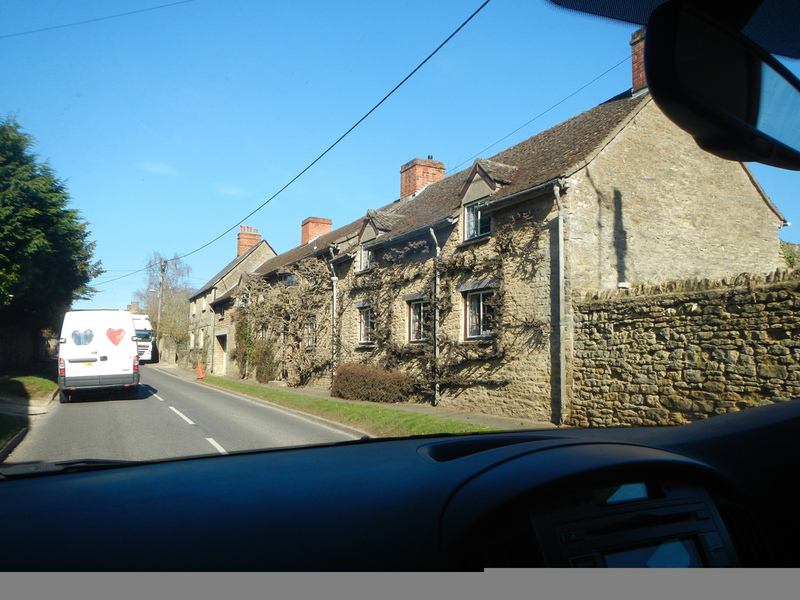 It was slow going, as we were not the only ones who had the idea, but at least we were moving and seeing cute towns. The gate to what we imagine to be a huge mansion. The house was set so far back off the road that we couldn't even see part of it through the gates. i love the vines on this house. A factory in the distance. The funniest moment of the drive came when we saw this guy wearing his PJ bottoms while walking his dog. We got the kids to yell out the window "Put some pants on!!!". It was followed by an explosion of giggles. The traffic was so bad, that we had to take a break midway on our trip. We needed a break and lunch, so we stopped at a traveler's center that had a bunch of American fast food chains. I feel like I should apologize to the UK for the crap that America has sent over. Fast food is not an export that makes me proud to be an American! Old fashioned phones at the travel center. Starbucks and Krispy Kreme. I saw more Krispy Kreme in the England than I have in California. After a long car ride, we finally arrived at the Cadbury factory. Driving into the Cadbury Factory parking lot. We went inside and purchased our tickets. The tickets have a timed entry and we had to wait over an hour until we could go inside. 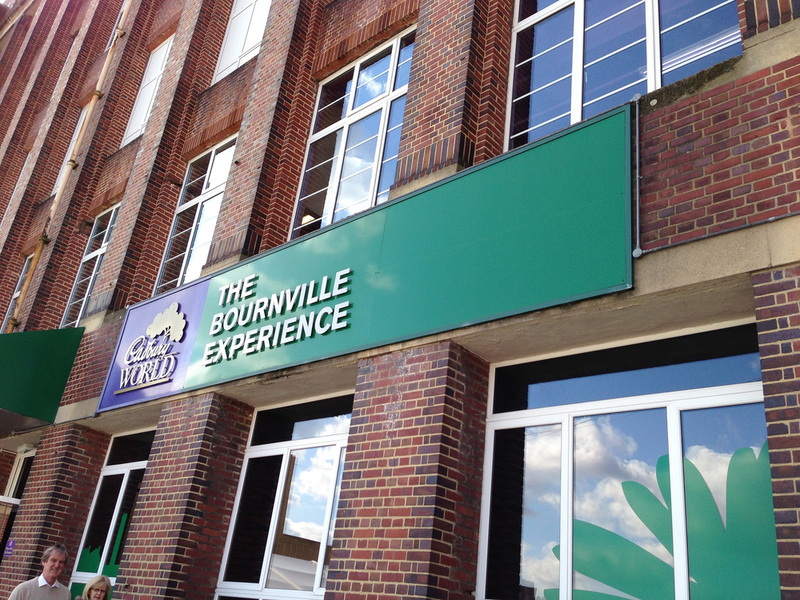 We headed to a separate part of the facility called The Bournville Experience. 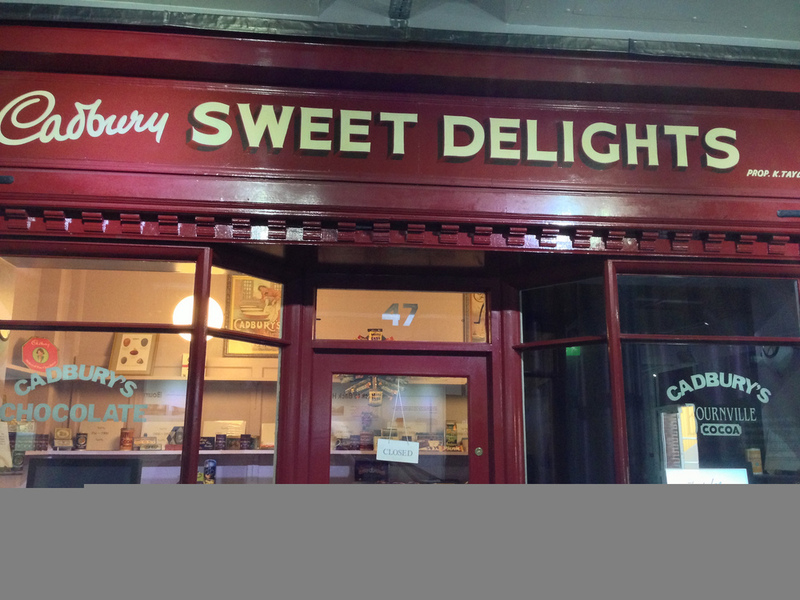 In the Bournville Experience, we learned all about George Cadbury and his vision. Prior to Cadbury building his factory in 1879, the area had been quite a dump and its residents living in squalor. Cadbury christened the town Bournville (using the word Ville was in vogue at the time) and he used his Quaker beliefs as a guide to running both the town and his company. It turned into a company town with the employees benefitting from good wages, nice homes, pensions, literacy and health programs. Another big part of Bournville was temperance. Cadbury's Quaker beliefs led him to abstain from alcohol and he believe it to be a big root of societies problems. To this day, there are no pubs in the town. I guess the absence of alcohol is more than compensated for by the abundance of chocolate! The mock candy shop had an interactive feature where you could design your own candy wrapper. Design your own candy wrapper. We still had time to kill after our Bournville education, so we let the kids run wild in the adjacent playground. The Cadbury factory and playground. The kids had a great time in the playground. Take a good look at the cocoa bean character in the picture below. It will be referenced later! It finally came time to go into the Cadbury factory. At the entrance, we were each given two full size candy bars to munch on. This was not the only point in which we were given candy bars, they also gave us more half way though. Maybe people have chocolate emergencies and need the sustenance to make it through the entire tour? I have to admit that all of the talk of chocolate makes it impossible to refrain from eating it. The power of Cadbury is so strong that I've already consumed two creme eggs while writing this post! The first part of the factory tour was a walk through an Amazon jungle to learn about the origins of cocoa beans. Deep into the jungle..complete with animatronic animals and people. "Snakes, I hate snakes"...says Dan in his best Indy voice. From the jungles, we are led to the streets of Victorian- Era London and encounter costumed actors in period garb playing characters and interacting with the crowd. This is where the message of the evils of city life and alcohol were driven home. George Cadbury emerges as a savior figure to led the way to the good life in his model town. I need to stop here and point out that George Cadbury and his vision for Bournville sound a lot like Walt Disney and his original plans for EPCOT. 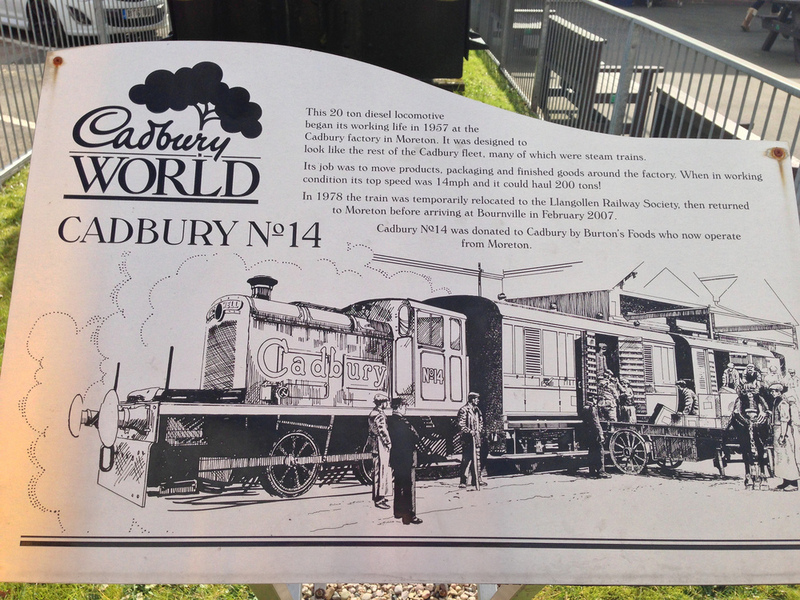 Cadbury got his town built before Disney was even born. The entire Cadbury World experience feels like it was built by Disney imagineering. 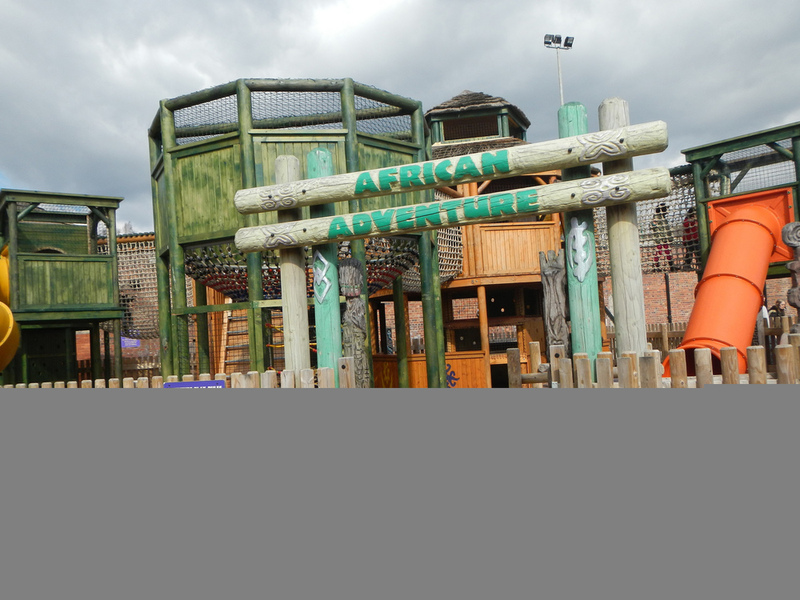 It's an immersive experience, where everything is highly sensory and interactive. The focus is on fun with the education component slickly placed. The actors fed us into a theater where various projections on several screens told the story of Cadbury's beginnings and beliefs. A bit redundant for those of us who had already been to the Bournville experience. After the Cadbury film, we were ushered into a second small theater to learn how cocoa beans are harvested and processed. This theater had interactive elements, including the moving seats and bursts of air hitting us in the face. It was mild and entertaining. After the movies we were fed into a tour of the actual factory, which included seeing all the processing and labeling machines. Neat to see. Dan's kids wrote their names in chocolate on a giant slab of marble and we saw artists creating custom chocolate sculptures. A chocolate artist. She is working off of a picture of a train and recreating it in chocolate. I was most surprised to find a dark ride inside of the Cadbury factory. It had the cocoa bean characters in animatronic form and only served to solidify my feeling that we were at a Disney park. The kids loved it. The exit of the ride fed into a hall showing all of the Cadbury advertisting campaigns, past to present. Just like everything at a Disney Park, the Cadbury World experience ended with an exit into the gift shop. Remember the cocoa bean character? The promotion of the cocoa bean guy is so slick that Dan's three year old (who doesn't even like chocolate) walked right into the gift shop and picked up a chocolate cocoa bean guy, insisting on it for his souvenir. Well played Cadbury, well played. We went nuts in the store. A very full basket of Cadbury products. Look at all of that chocolate and most of it has already been eaten! 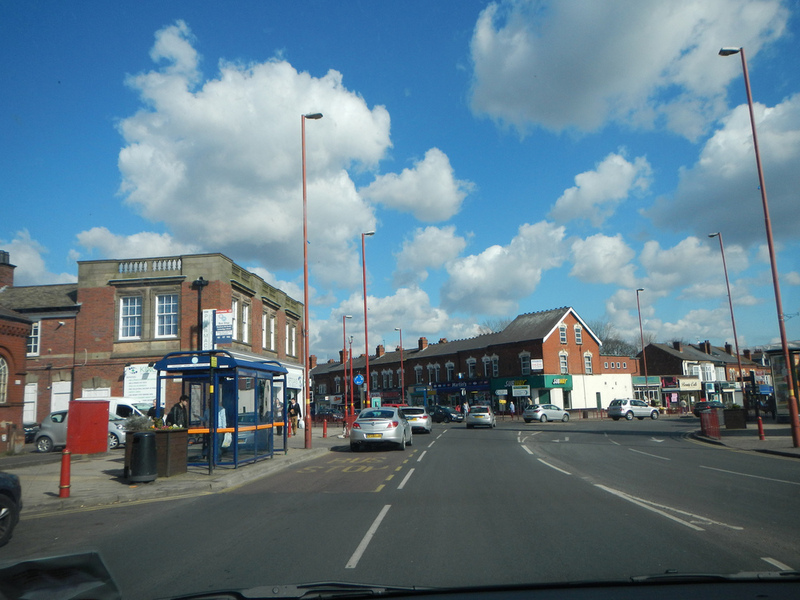 I took a couple of pictures of the town of Bournville. I took a picture of the best road sign. Not a clue. All that comes to mind is Audrey Two! Unfortunately, it was too late in the day to do Warwick Castle. We drove by it and have added it to the to-do list for the next trip. The entrance to Warwick Castle. I really enjoyed visiting Cadbury World. It's a great half-day attraction and worth the drive to stock up on chocolate!